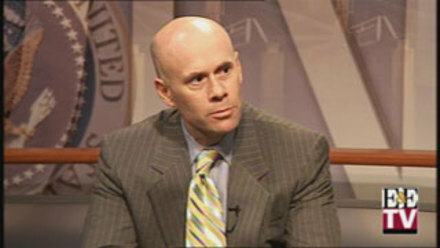 During the 2004 presidential campaign, environmental and energy issues largely took a back seat to the war in Iraq, homeland security and other topics. But with skyrocketing energy prices and the after-effects of hurricanes Katrina and Rita, Democrats in the House and Senate are seizing on energy as a key issue for the 2006 elections. Roger Ballentine, a senior adviser to Sen. John Kerry (D-Mass.) on energy and environmental issues, and currently president of Green Strategies, Inc., looks back at Kerry's successes and failures during last year's presidential race. Plus, Ballentine predicts how energy issues will affect the 2006 elections and whether climate change will matter to voters at the polls.